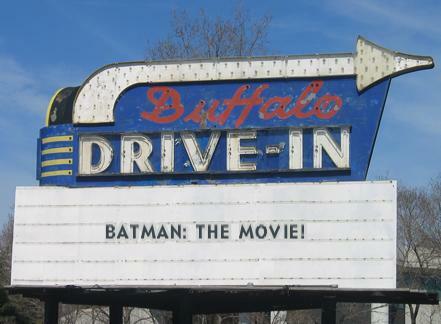 The Midnite Drive-In: Holy Preposterous Expression, Batman! 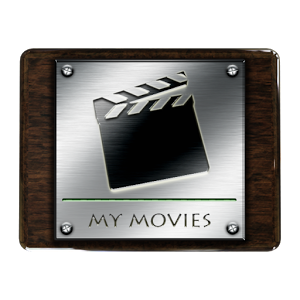 Trivia Questions: Which of the four villains in the movie was the first villain to appear on the TV series? And which of the four was the last to appear against Batman and Robin in the series? 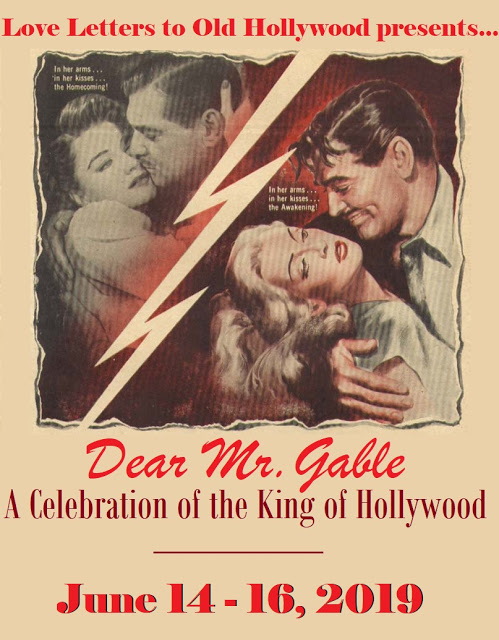 (Note: the villain was NOT the in the last episode, that honor goes to Zsa Zsa Gabor as Minerva.) Answers at the end of the entry. In the winter of 1966, an assortment of enthusiastic TV personnel foisted upon the unsuspecting public one of the most ridiculous but entertaining shows ever brought to the small screen. Batman, a character originally created by Bob Kane for the comic books back in the 30's, and also the subject of not one but two separate movie serializations in the 40's, was given a complete overhaul for the TV show. An interesting note is that the Batman movie was originally to have come first as a teaser to get people interested in a TV show, but due to a really bad series season premieres in the fall of 1965, ABC, the TV station producing the series, forced the TV show into the schedule earlier than originally planned. 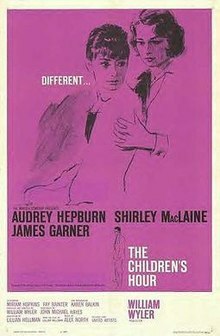 The movie premiered in Austin, TX on July 30, 1966. (The Glastron boat company, which had made the Batboat was headquartered in Austin.) Another interesting note concerning the premiere was that just two days later, in Austin, Charles Whitman committed his infamous shootings on the campus of the University of Texas. William Dozier recalled the event, and was quoted by Joel Eisner in his book The Official Batman Batbook as having been driving around in an open convertible just two days before. Instead of increasing the interest in the TV series, as expected, the show began a steady decline in the second season, and by the third season even the addition of Batgirl (Yvonne Craig) could not keep the series afloat. It's too bad, because some of the biggest names in Hollywood were clamoring to be cast as guest villains for the series. Over the course of three seasons such top names in Tinseltown as Vincent Price (Egghead), Cliff Robertson (Shame), Liberace (Fingers), Shelley Winters (Ma Parker), Otto Preminger (Mr. Freeze) and Zsa Zsa Gabor (Minerva) had come on board for battle with the Batman. One I found absolutely great was when Roger C. Carmel, better known to Star Trek fans as "Harry Mudd" played a character called "Colonel Gumm". The opening sequence and title credits are entirely unlike anything else in the movie (or the TV series for that matter). 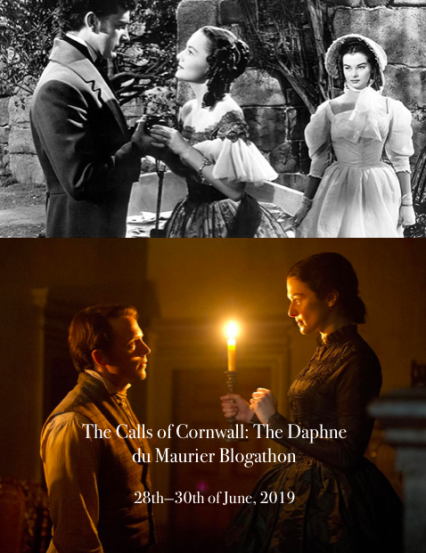 A spotlight crosses walls and highlights each of the six main characters and in between a shadowy survey of dark alleys with suspicious figures dashing to unknown destinations. The music seems to harken back to some film noir films I've seen. Not to worry, however, because the rest of the movie falls into the same kitschy feel that the TV series had, including the preposterously overacted parts of the main characters. William Dozier, the TV show and movie producer, pulls double duty as the narrator (as he also did in the series), adding a certain extra bit of campiness to the film. The film opens informing us that a yacht carrying Commodore Schmidlapp (Reginald Denny) and his secret invention is on it's way to the United World Headquarters in Gotham. 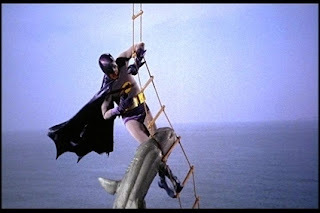 But there is a threat and it's Batman (Adam West) and Robin (Burt Ward) to the rescue. Back at police HQ, the Dynamic Duo talk to the press, which includes Catwoman (Lee Meriwether, taking the place of Julie Newmar, who was unavailable for the movie) disguised as a Russian reporter, named Kitka). 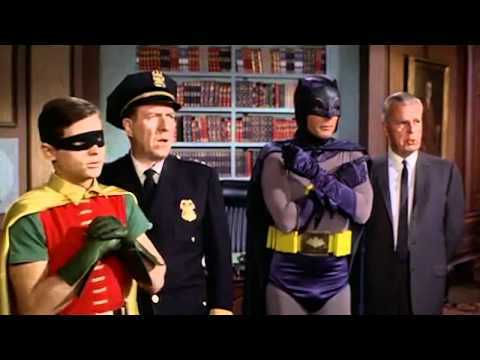 Afterwards, they discuss with Commissioner Gordon (Neil Hamilton) and Chief O'Hara (Stafford Repp) as to who might be behind this dastardly deed. The conclusion? 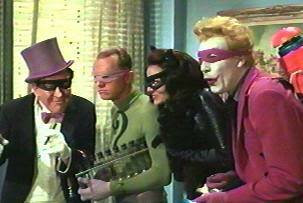 It's not just one or two or three, but FOUR super criminals who have banded together for some nefarious purpose; the aforementioned Catwoman, as well as The Joker (Caesar Romero), The Penguin (Burgess Meredith) and The Riddler (Frank Gorshin). They all have their super egos to deal with, each one trying to be the to dog and backbiting each other, but they are all are in one accord on one topic; the death of Batman and Robin. Batman calls the Pentagon and discovers that they had sold a surplus pre-atomic submarine to a man who identified himself as "P. N. Gwynn" (Penguin, in case you are slow on the uptake...) Meanwhile the Fearsome Foursome (as I will now identify the criminals) make plans to lure Batman into a trap by kidnapping one of Gotham's premier citizens....Bruce Wayne. (Who else were you expecting?) As bait, Catwoman uses her guise as Kitka to go on a date and end up in her apartment where the other three overpower Wayne and take him captive. Batman, as Wayne, tricks them into freeing his arms and this time overpowers the three and escapes through a window. (Come on, you didn't REALLY need me to tell you that, did you?) 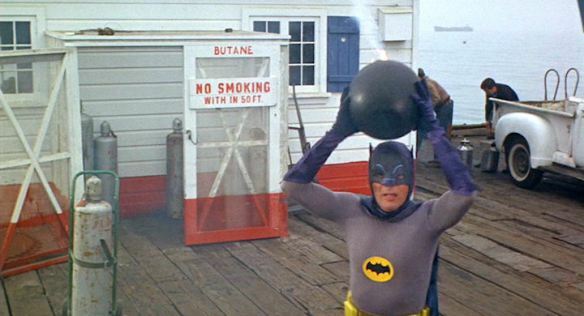 When he gets back to Wayne Manor and dons his Batman disguise, he returns to the wharf area from which he had originally escaped and finds, instead of the fearsome Foursome, a bomb on the verge of exploding. 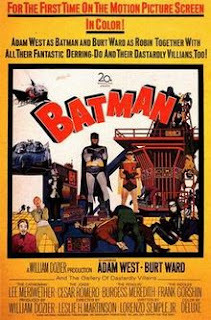 A scene reminiscent of the Keystone Kops ensues as Batman tries to get the bomb someplace safe to explode but is thwarted by the presence of a marching band, a boat with two lovers, a couple of nuns and some ducks. "Some days you just can't get rid of a bomb..."
The secret weapon that Commodore Schmidlapp has produced, a device that can dehydrate a human being, is finally revealed as the Penguin uses it to dehydrate five henchmen and then proceeds to find a way to get Batman to take him back to the Batcave. There the Penguin re-hydrates his henchmen, but uses the wrong water and they are easily disposed of by Batman and Robin. But the evil plans of the Fearsome Foursome are not done yet. They use the machine to dehydrate the nine members of the World Council Security Council and kidnap them, taking them aboard the submarine. The best parts of the movie are the incredibly insipid points of humor, mostly from the mouths of Batman and Robin who play the naivete aspects to the hilt. Also watching Frank Gorshin as the Riddler is a humongous treat. Jim Carrey's portrayal in Batman Forever notwithstanding, Gorshin's manic performance as the character really does put an exclamation point on the insanity of the role. As alluded to in the title of this piece, Robin's exclamations, by themselves, are worth the price of admission. They became such a regular part of the TV show that it was rated as one of the top catchphrases for TV Land's special on the subject of greatest TV catchphrases. As an epilogue, here are some of the best of Robin's "Holy ...." expressions from the movie. Trivia Question answers. : The first ever episode featured The Riddler. The Joker appeared in episode #118 (out of 120 episodes). I recently found out that Burt Ward was this close to being cast in Dustin Hoffmann's role in Tne Graduate...his career would have gone in an entirely different direction! My favorite was The Riddler. Frank Gorshin played that to the hilt. I sometimes watch him and wonder if he was intentionally trying to play him as a little bit fey or if that just how it comes across to me. Speaking of Dustin Hoffman, I'm lining up a post on Midnight Cowboy here in the coming weeks. He did that just after The Graduate and as much as I love John Wayne, I thought his role as Ratso was a better candidate for best actor. I look forward to that...I agree, Dustin should have won the 1969 Oscar as Ratso! Gorshin was a great character actor...I think as the Riddler he was totally having a blast going over the top!